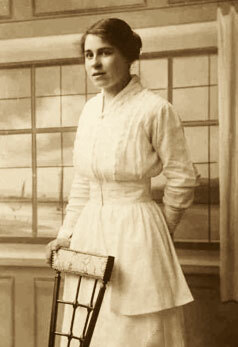 The Up-to-Date Waitress - written by Janet McKenzie-Hill; who was born in Westfield, Massachusetts in 1852 and was a famous author, cooking instructor and lecturer on domestic science. McKenzie-Hill graduated from the Boston Cooking School where Fannie Farmer was assistant principal. 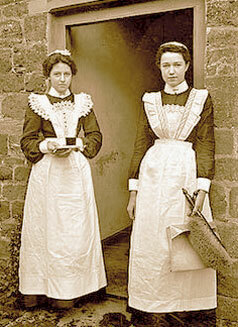 The author published many books on cookery and domestic home care including “Cooking for Two: A Handbook for Young Housekeepers” in 1908. She died in 1933. This book was published in 1908 and is an amazing historical record for those interested in the history of day-to-day life in the era of Downton Abbey. The past comes alive with another online history book from Bob Atchison and the Alexander Palace Time Machine.